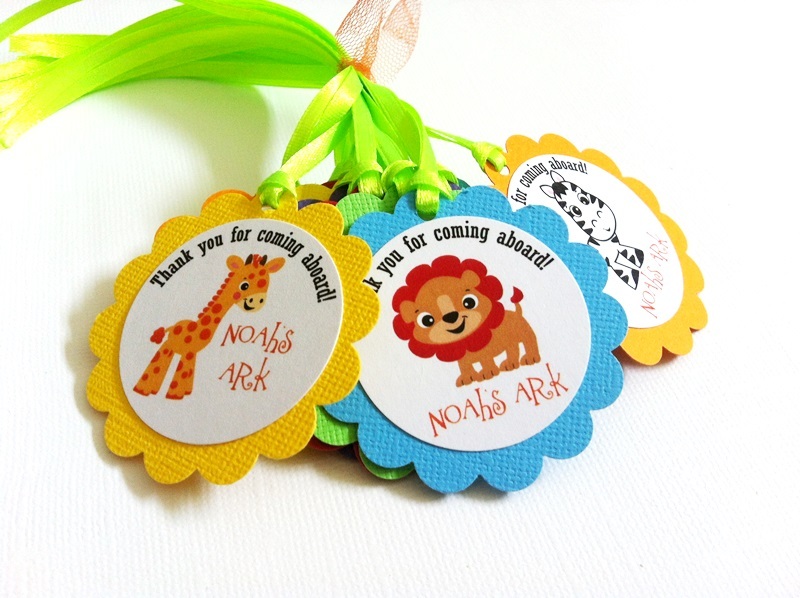 This is a listing for a set of 12 (twelve) Thank you for coming aboard Noah’s Ark Favor Tags. 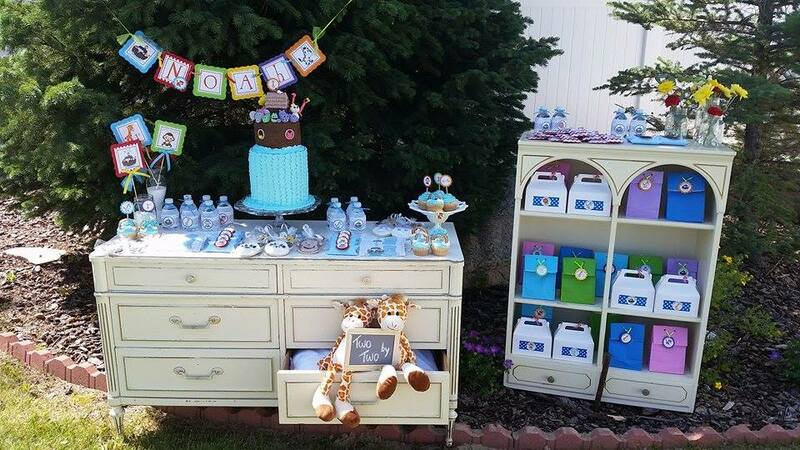 The design is whimsical and perfect for a birthday or baby shower party. They make an eye-popping presentation, adorn your favors beautifully. 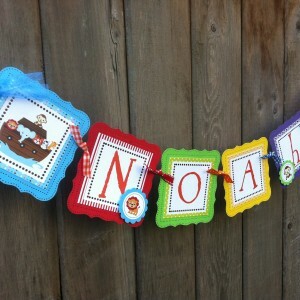 What a fun and playful way to say thank you to your guests who come to your Noah’s Ark party. 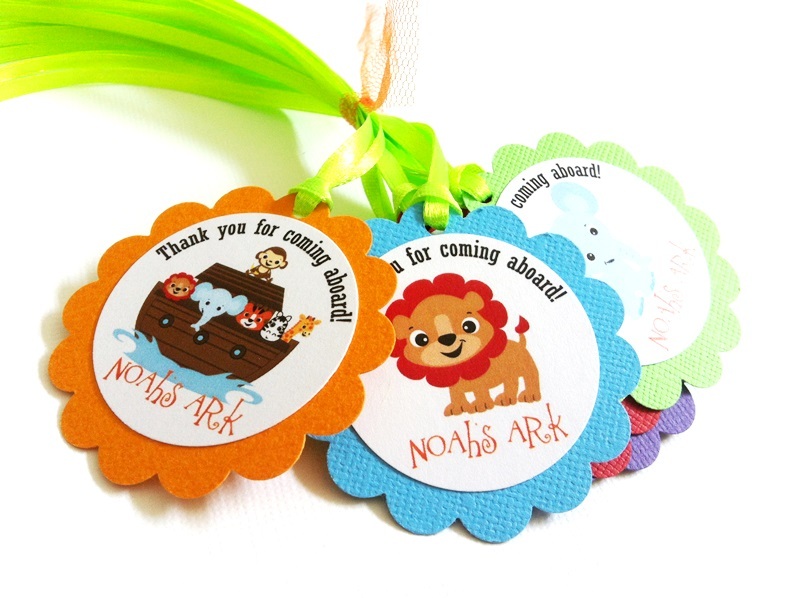 Each tag has a cute image of Noah’s Ark or animals, with a phrase “Thank you for coming aboard! 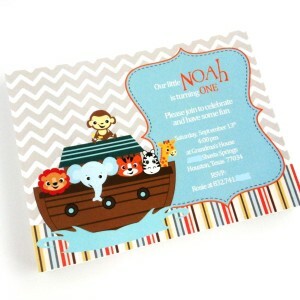 Noah’s Ark”. 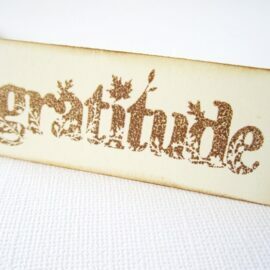 Many delightful images are included in this set. 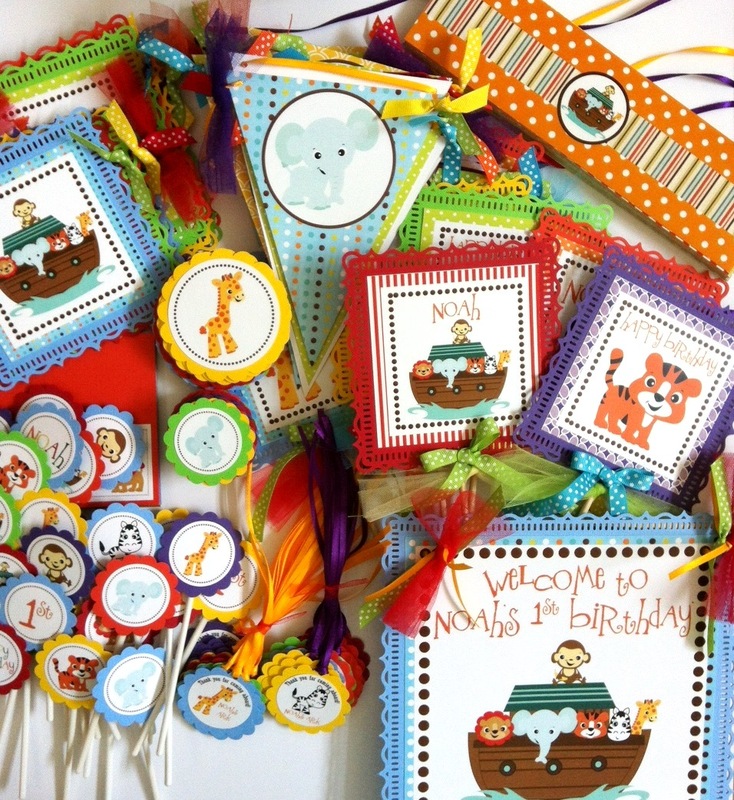 These include the Ark with a bunch of cute baby animals in it, as well as individual animal such as Monkey, Elephant, Giraffe, Zebra, and Lion. 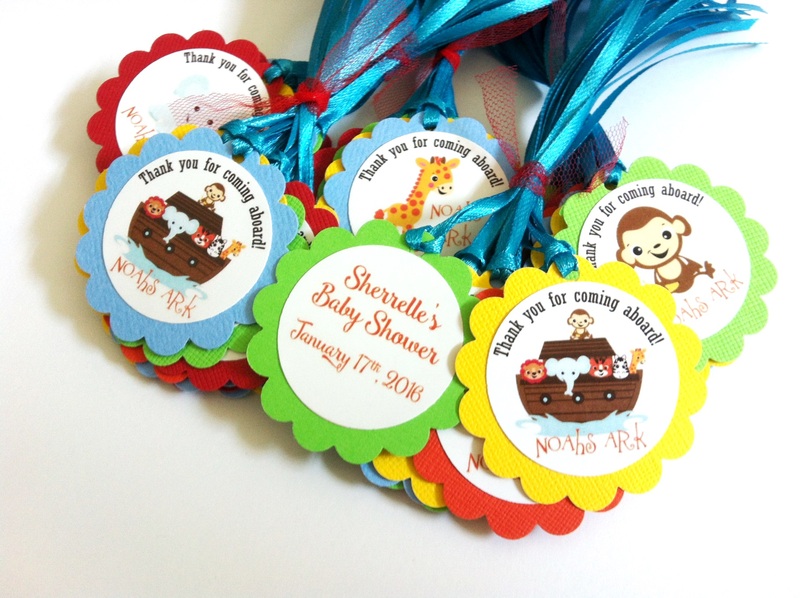 Want to have them personalized? 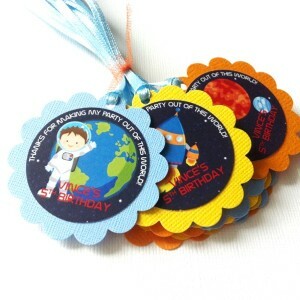 Personalization is done at the backside of the tag, as shown in a couple pictures above. 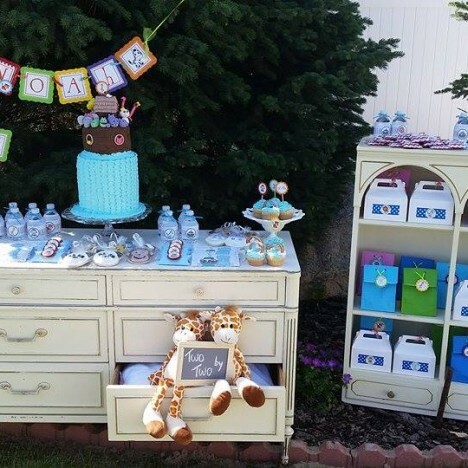 You can have the mom’s name and party date, or your own unique message. Simply provide us with the text in the personalization field. 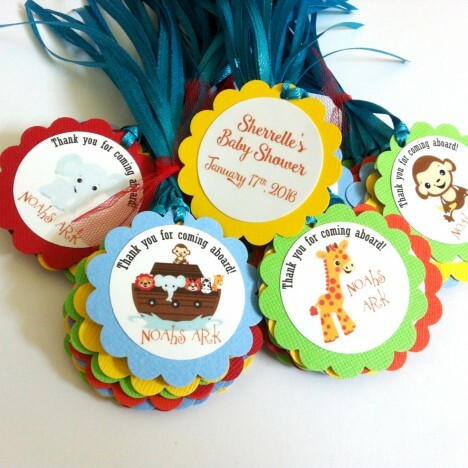 Personalization is optional and additional fee applies. 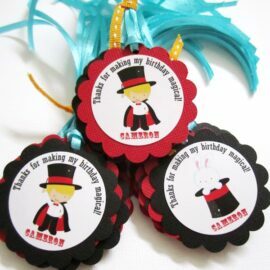 These tags come in many different colors as well. Why stick to one color when you can have many? Of course, if you have specific color(s) scheme in mind, do let us know. We can do specific color as requested. 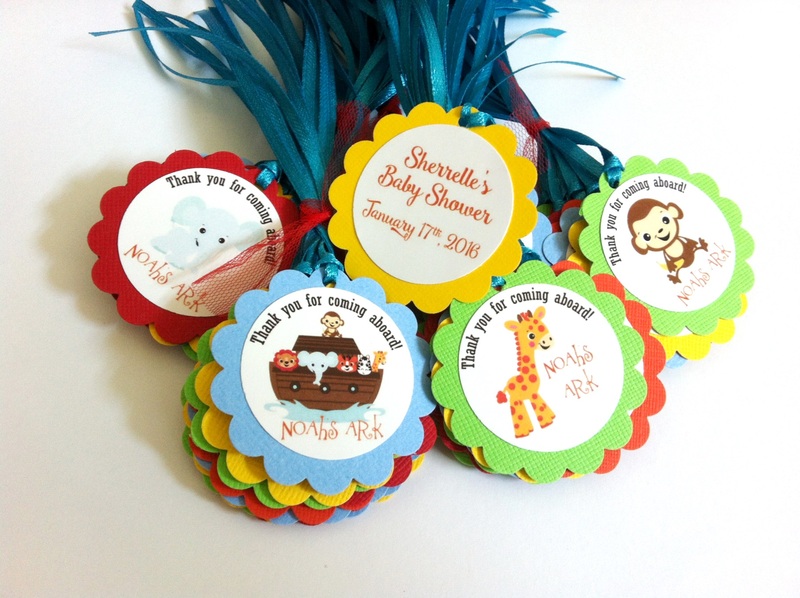 Noah’s Ark is a very popular baby shower party theme, based on a biblical story that God keeps his promises. He put a rainbow in the sky and that’s to remind us of the promise God made to Noah, the animals and us today. 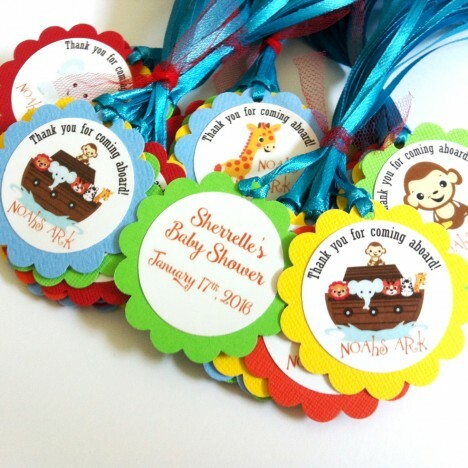 Are you looking for party decorations that compliment these Noah’s Ark Favor Tags?